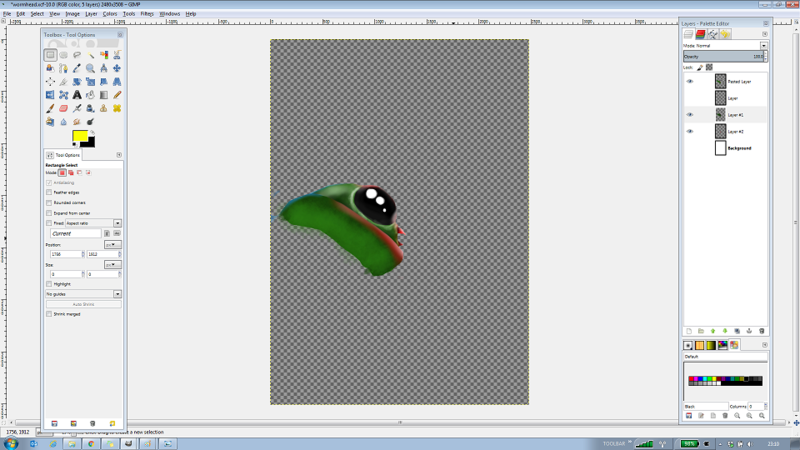 After a few more hours on this, I’ve finally finished! 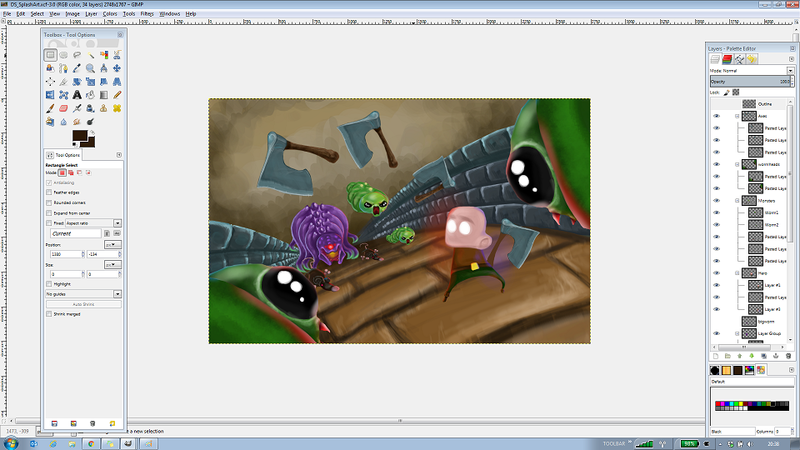 The final pieces of the splash screen were adding the forefront monsters and working on the walls and floor. The worm heads turned out pretty easy to create after all the previous practice. I think they fit well into the overall picture, adding dimension. The next piece was pretty satisfying – I worked on the shadows and magic: red flaming axes on the left, ice cold axe on the right! 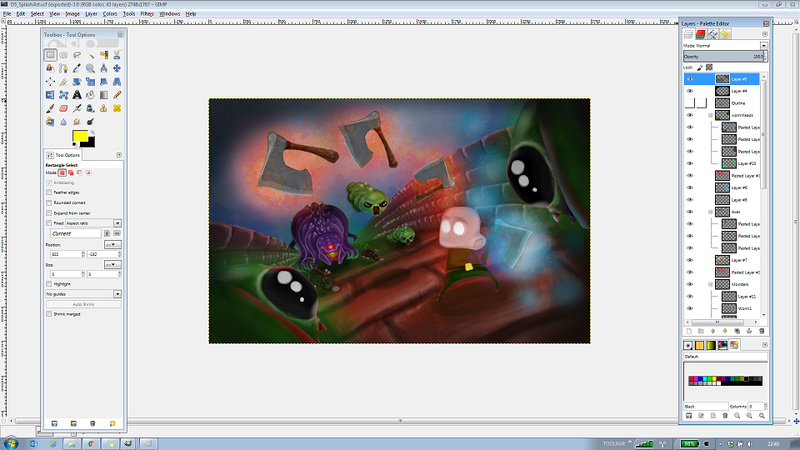 The FX and lighting turned out pretty nicely and gave the final picture a more convincing look. I also changed the hue of the sky, walls and floor to boost the effect of the axes. Not bad for what I estimate must be 10+ hours of work! Next step is to create a professional looking game title… But I think I will take a rest from art and move back to doing some programming on the game first!!! 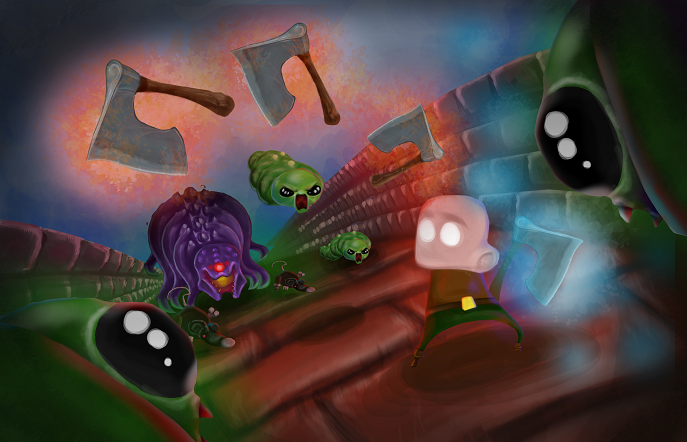 To read my first blog post about creating the splash screen for Dungeon Scroller, click here. As always, I would love to hear from you. Let me know what you think about the final splash screen! Comment below.